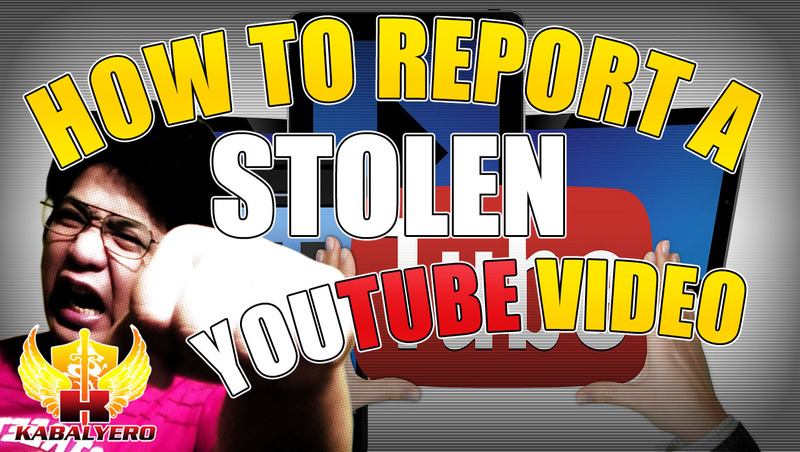 How To Report A Stolen Video To YouTube ★ Copyright Infringement Reporting - KABALYERO - PLAY, BLOG & EARN! 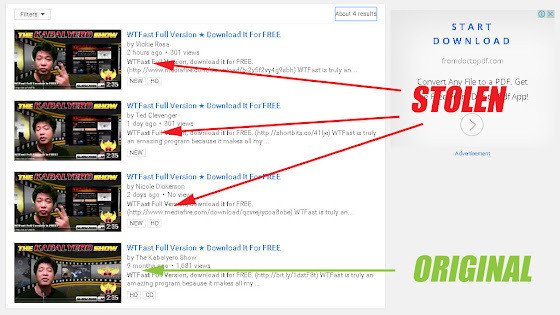 How to report a stolen video to YouTube? 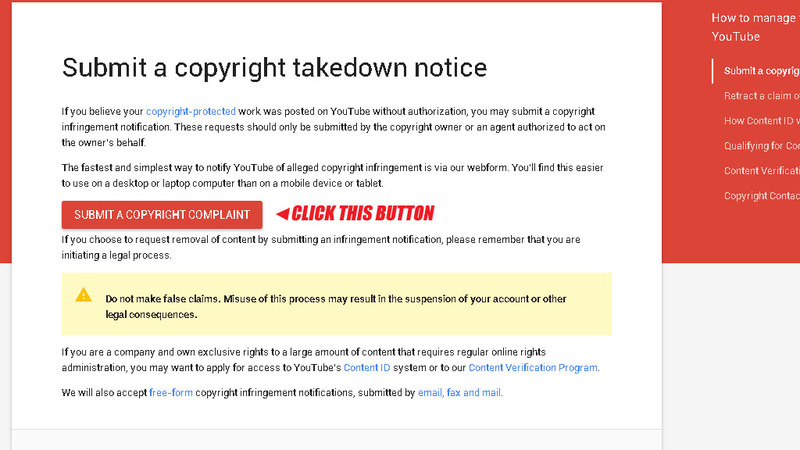 If you have a video that was stolen by other YouTube user, was uploaded in their own channels and you want the video taken down then read this blog post. Before you can report anything, the first thing you need to do is find your stolen video and you can do that easily by simply searching for it in YouTube. 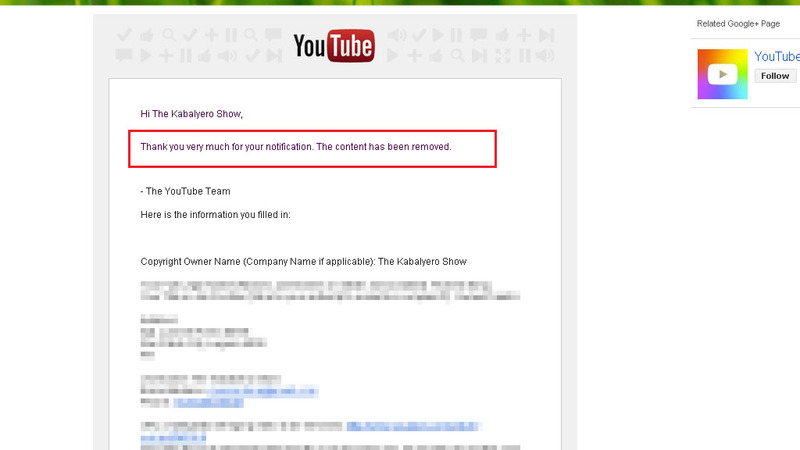 As you can see, by simply searching for the title of the stolen video in YouTube. I was able to find three stolen copies of my video uploaded in three different YouTube Channels. 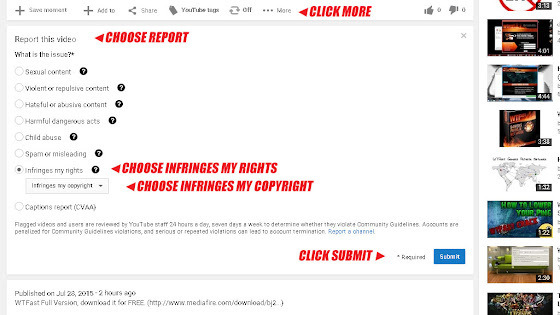 After finding the stolen videos, you start the reporting process by going to the video to check if it is really your video and if it is then click on the More link, choose Report, choose Infringes My Rights, choose Infringes My Copyright and click the Submit button. 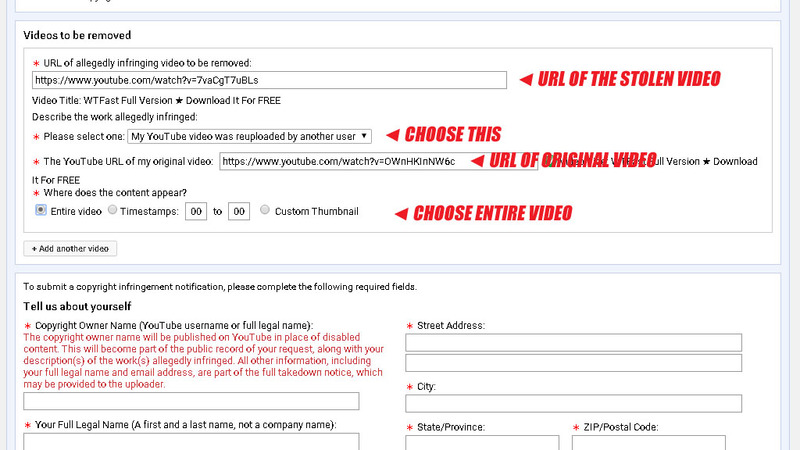 Clicking the Submit button will take you to the Submit a copyright takedown notice page. In this page, simply click on the big red Submit A Copyright Compaint button. The next step in the process is the actual reporting of the Copyright Compaint. In the Copyright Compaint page, answer the question, What is the Issue? by choose Copyright Infringement. Doing so will open the Who is affected? question and answer this by choose I am! 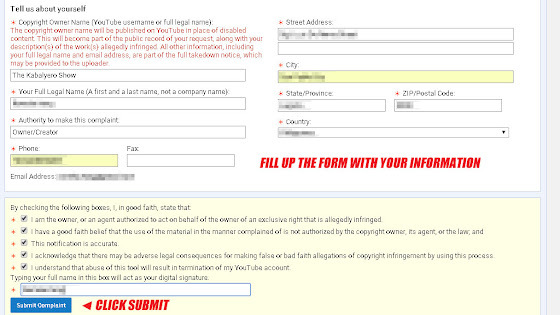 After answering the last question, it will open a new window with a new form that will ask you about the infringing video, why it's infringing, the url of your original video and where the content appears in the infringing video. 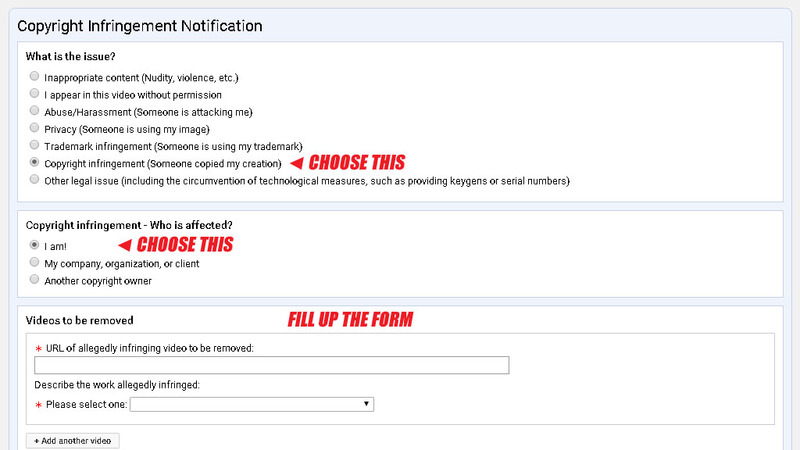 As you can see in the screenshot, I filled up and answered everything that was needed in the reporting process. The last and final step in the reporting process will ask you personal questions like your name, address and even your phone number. 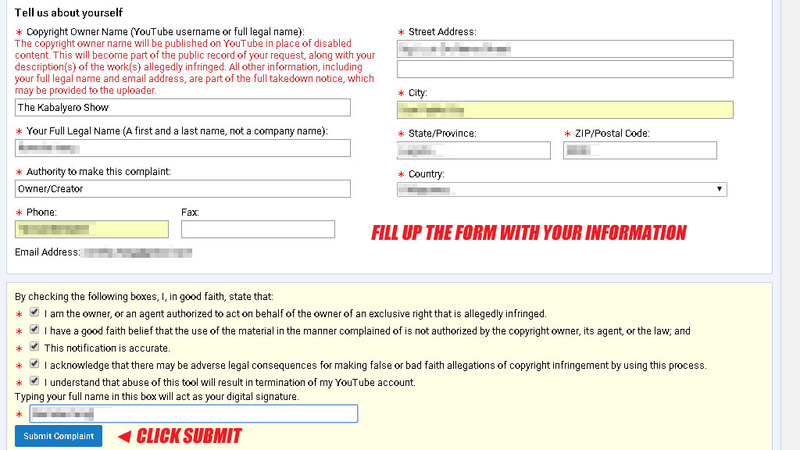 Just answer the form truthfully, check all the required check boxes, enter your Signature by typing your name again and submit the compaint by clicking the Submit Complaint button. 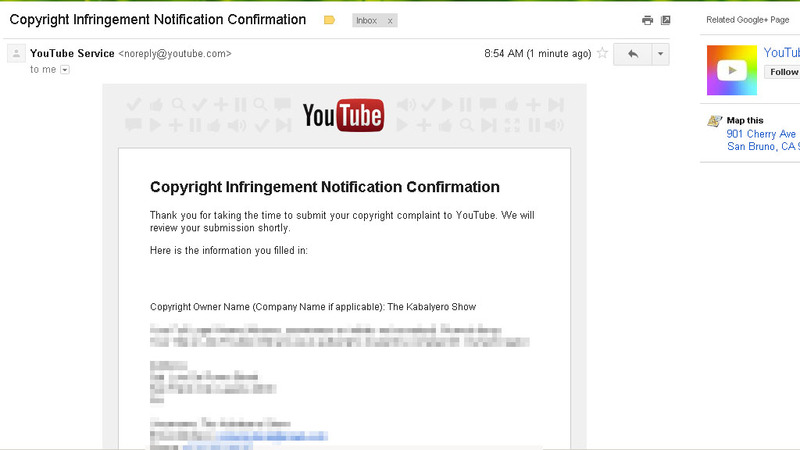 After completing the reporting process, YouTube will send you an e-mail confirming receipt of your Copyright Infringement Complaint report. 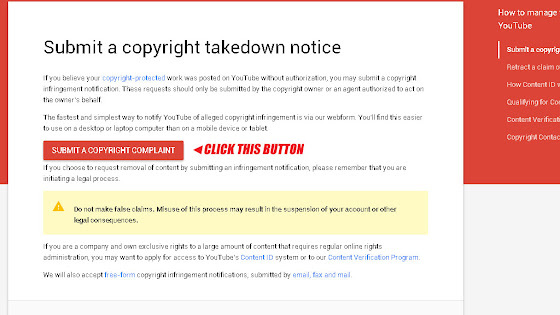 All you have to do now is wait and if everything checks out then YouTube will inform you that the infringing or stolen video or content has been taken down or removed from YouTube. 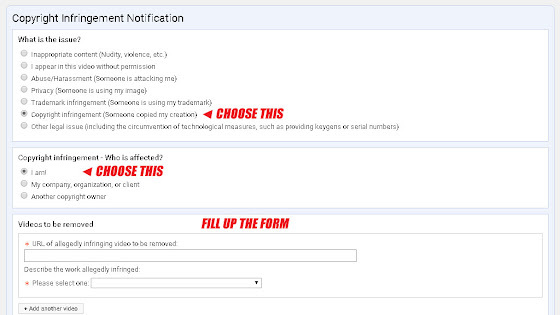 Also, if you wish to receive updates when new blog post are uploaded then don't forget to subscribe. You can also help me grow this blog by sharing it to your friends. How many days the infringe video will be deleted after a report to youtube?